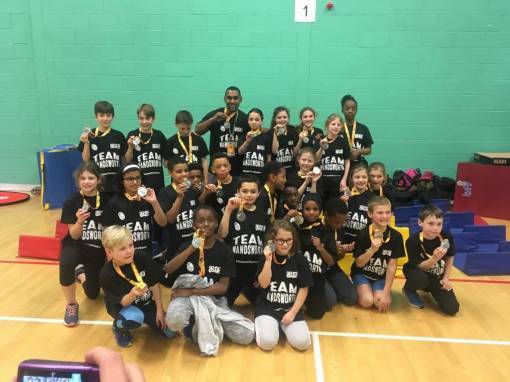 Wandsworth primary schools continued their high level of performances with a coupleof successful days in the London School Games Spring finals at Redbridge. Ravenstone achieved our best ever position with a fantastic perform in the Sportshall Athletics finisihing in 2nd palce. Honeywell also picked up the bronze medals in the Quickstics Hockey. SAcred Heart Battersea were also awarded the Respect the Games trophy for their sporting behavious and all round enthusiasm in the Mini Boccia competition. As you can see from the list of results below, the primary schools demonstrated how strong school sport is in Wandsworth.